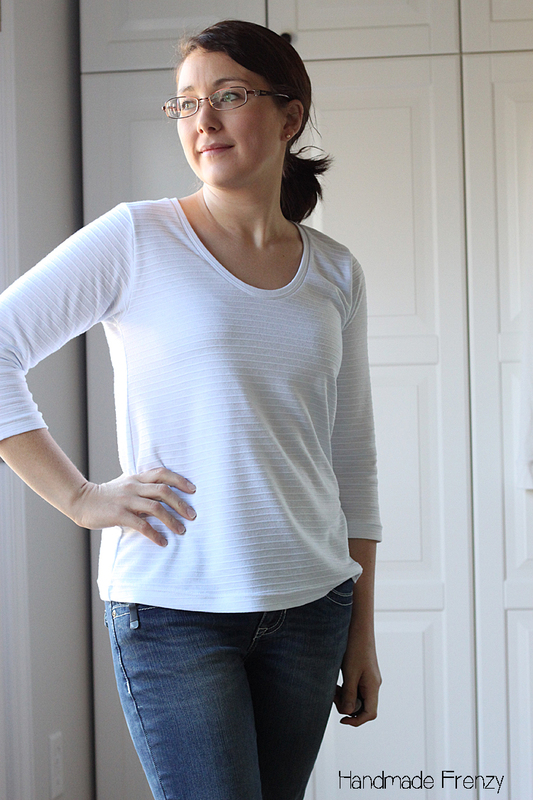 The Montlake Tee is the newest sewing pattern to come from Kimberly at Straight Stitch Designs. Get your pattern here on sale through Sun, Jan 31st! Kim has worked so hard to get this pattern just right, and I absolutely love the final version. Just as soon as we're done having all these snow days and the chaos of having the whole family home dies down, I plan to sew up several more because it is just what my closet is lacking! I sewed up a version before this one in a lightweight tissue knit and haven't got around to hemming it yet so it's still sitting in my sewing area waiting for that double needle. 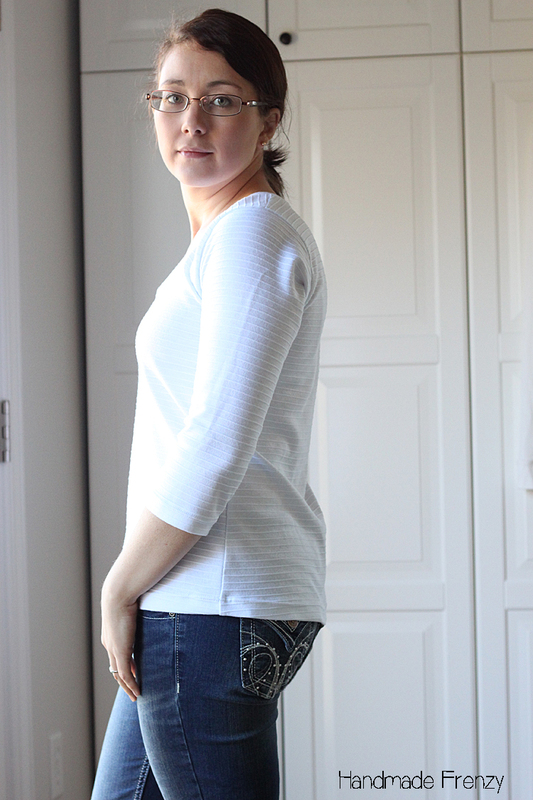 The reason that one lays neglected, is because I couldn't stop picturing this pattern with a few tweaks and in this white sturdy knit that has been patiently waiting in my stash for just. the. right. pattern. The Montlake Tee was just that pattern. The marriage of pattern and fabric was perfection and it's my new favorite closet STAPLE. 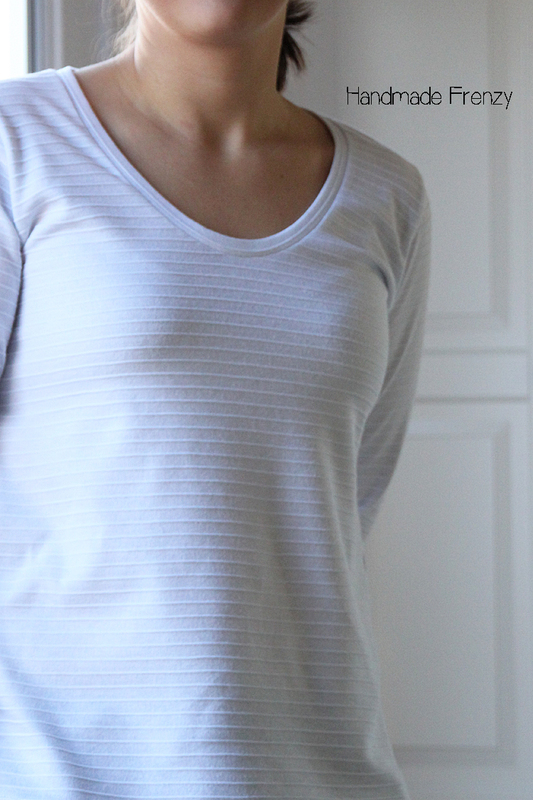 I am totally a sucker for a well fitting white tee that can stand completely on it's own or be accessorized endlessly. So let's talk more about the pattern! It is drafted with a perfectly scooped neck, fitted at the top and has a swingy shape through the waist and hips. 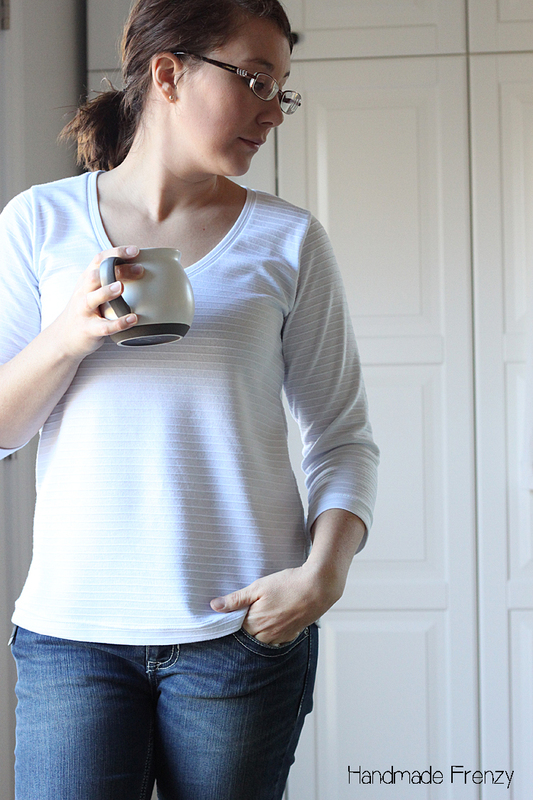 It comes with short, elbow, 3/4 and long sleeve options. How's that for getting just the sleeve length you want!? 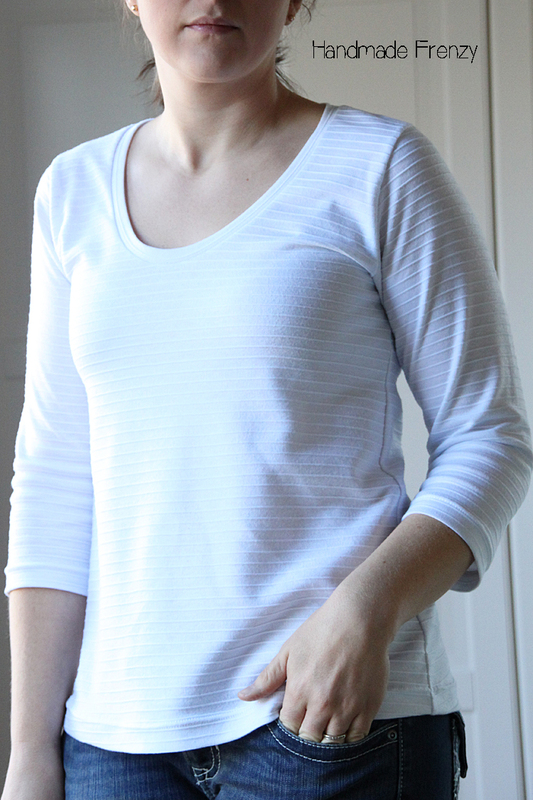 She also includes a 1" hem allowance for both the sleeves and the bottom which gives it a nice substantial feel. It's something that stands out a bit and gives it a quality look. 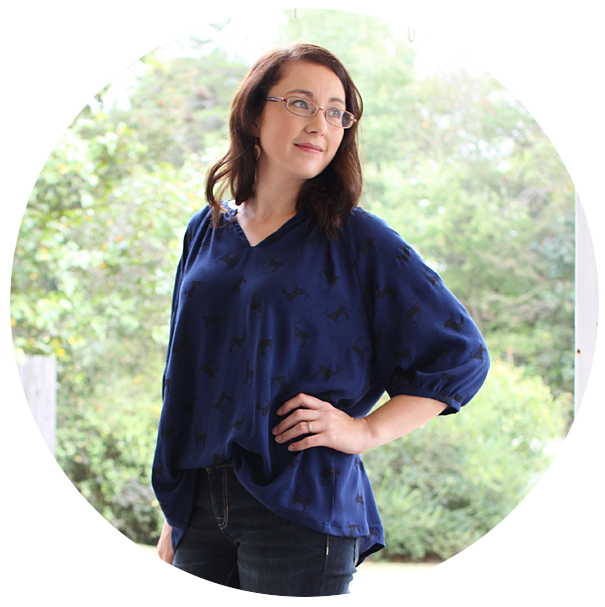 I did make a few changes to the pattern as it is written to get the fit I wanted for this tee. 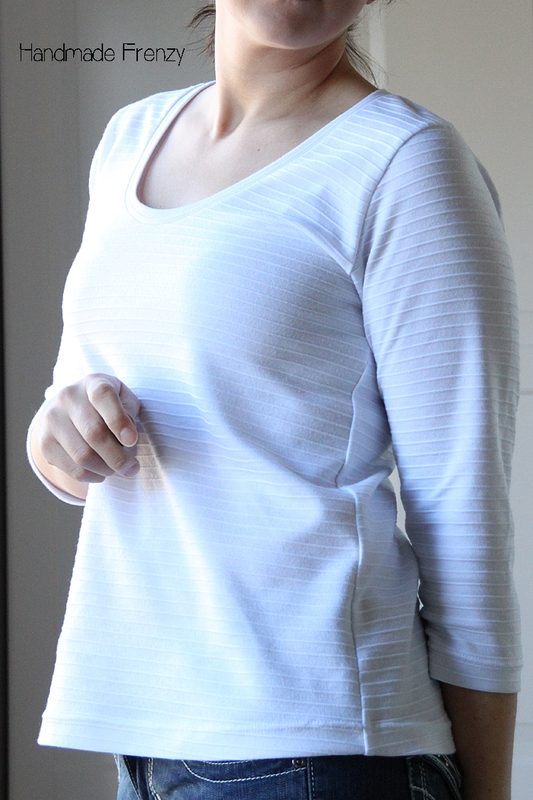 Firstly, I raised the neck scoop by about 1/4" for just a little bit more coverage since my wiggly baby is constantly on my hip and wardrobe malfunctions are a very real thing... :) I loooove the shape of the scoop, it's very flattering without being too open. As per usual for me, I had to shorten the pattern, and Kimberly has included these VERY handy shorten/lengthen lines that make this job a snap. I shortened the body by 2 inches and the arms by 3 1/2 inches. 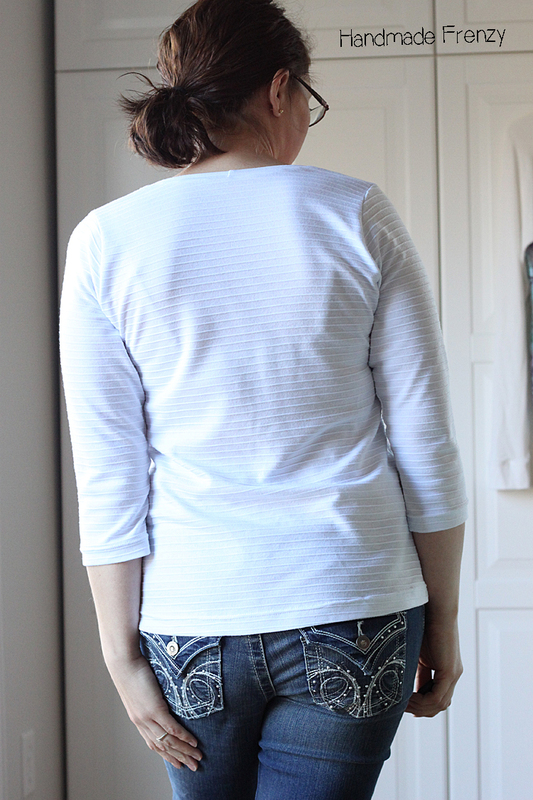 Next, I cut out a size 6 at the top to fit my shoulders, then graded down to a size 2 at the armpit, through the hip. 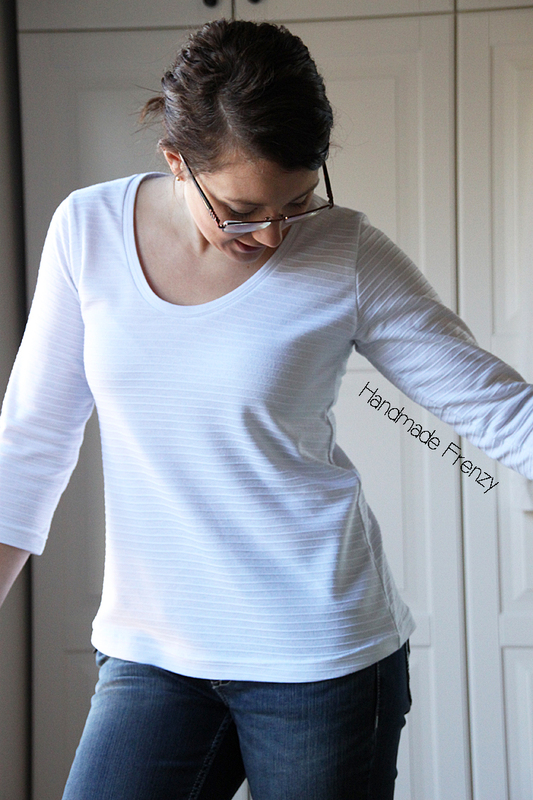 With just those simple mods I have a tee that fits fantastic and makes me feel like a million bucks! Even made me bust a few moves (which I DO not have, lol)! Now go grab your copy of the Montlake, ON SALE THROUGH SUNDAY JAN 31ST! and happy sewing! that is an amazing fit! 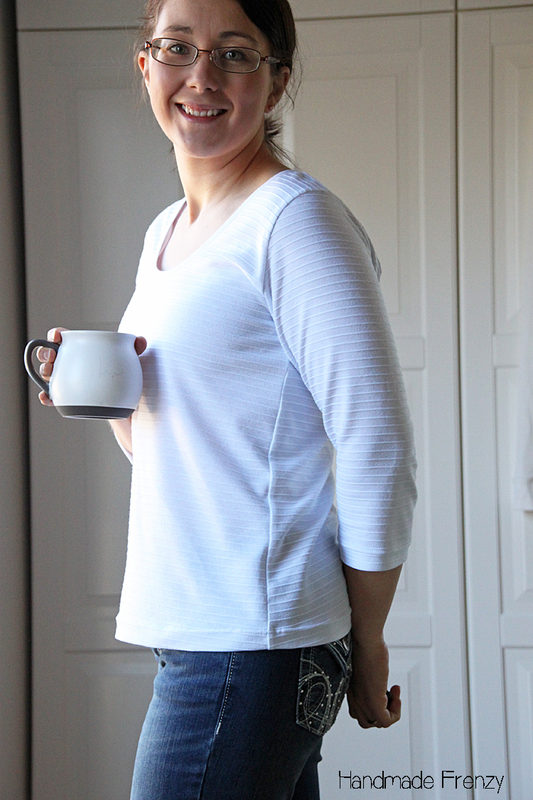 I love the fit of this top on you! It looks terrific. You have convinced me that I need this pattern in my life! Ooh yeah! 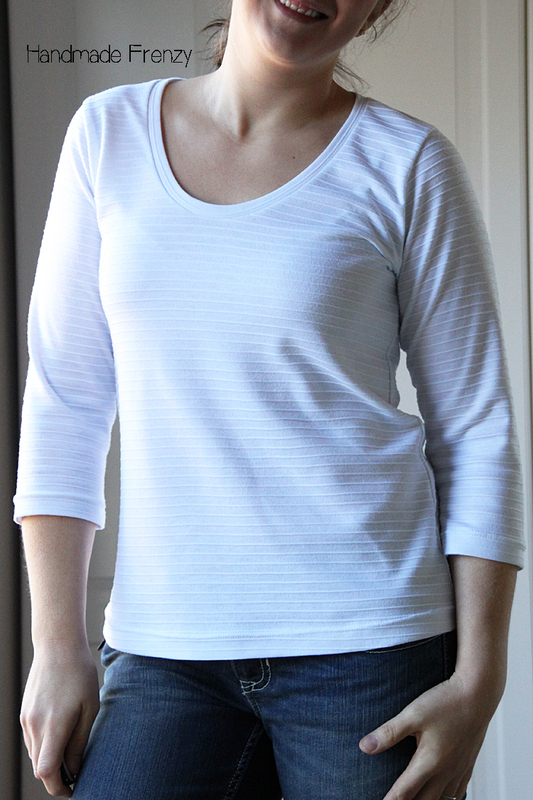 A gorgeous crazy awesome fitting white tee that goes with anything! Its so cute. I love when you fond the perfect pattern and fabric. Win! This fabric makes this pattern even more amazing!